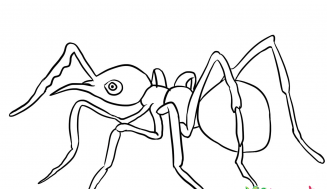 Formica are ants that belong to the Formicidae family, In nature they are called mound ants, wood ants, field ants and thatching ants. The European red wood ant, whose scientific name is Formica. Wood ants are big in size and measure somewhere between 5 and 11 mm. They dwell in large groups called colonies. These wood ants are sociable, and dwell in large groups numbering as much as a million of individual ants in one colony. However, strange as it may seen, the number of the colonies of Scotland hardly exceeds 100,000. 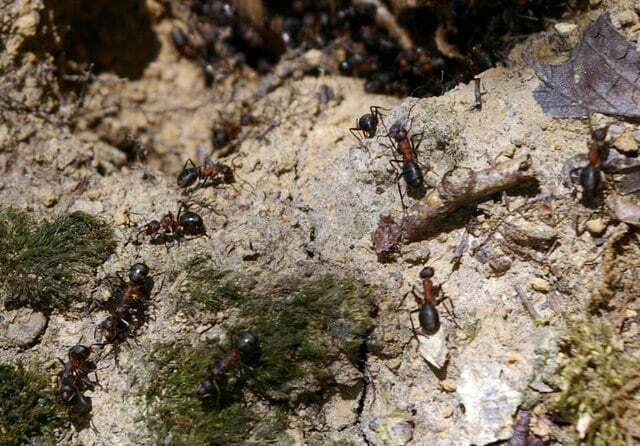 The majority of the individual ants are workers, who are all females. Since they are underdeveloped, they are unable to reproduce, but still irregularly they do lay eggs that they make use of as food. 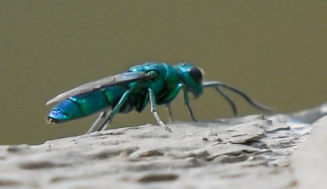 True to their name, they are the workers of the colony, nursing the queen and her clutches and upholding the nest. Only the eggs laid by the queen are raised to adulthood. The only duty of the male is mating the queen, other than that, they are idle. 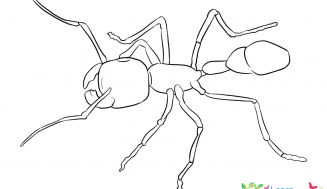 There are almost 200 varieties of wood ants. 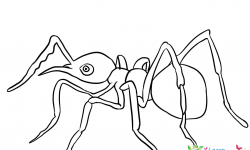 The other familiar names of the wood ants are field ants, mound ants, piss ants and horse ants! The southern wood ants, scientifically take on the name of Formica Rufa, that is a big, violent and lively ant. It is capable enough to spray formic acid towards its predators, to a distance of a few feet. 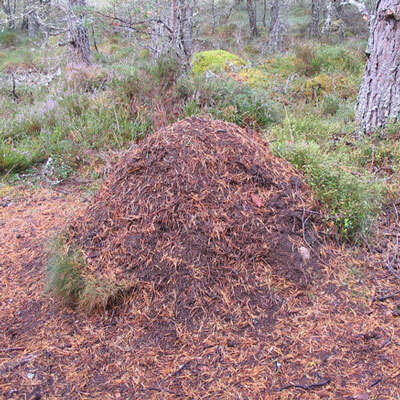 The wood ant colonies are formed by accumulating needles of pine, positioned at the crown of the old tree stumps. Their nests are some meters tall. The big nests of the wood ants are built on the floor of the woodlands. The withered foliage, twigs and pine needles are heaped by weaving them collectively to make a hill that is about one meter high from the ground. There are many thousands of compartments and tunnels that are concealed quite a distance under the ground inside the ant mound. The nests are similar to a town with facilities such as food stores, accommodation facilities, linkages and also burial grounds for the ants that die. The biggest and oldest nests accommodate as many as 100,000 ants. Generally the life of the colonies extends for several years, the ants live underneath the ground in winter and emerge to the surface during the spring. All of these wood ants possess a characteristic black and red coating. By experience, it is possible to differentiate the four varieties by the characteristics of their heads. 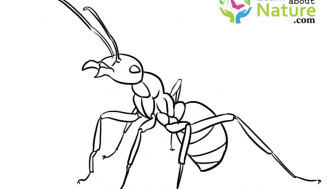 In Britain, they are the biggest ants, the size of the queen is almost 12 mm long, whereas the remaining two sexes, the males and the worker wood ants in the colony are a little smaller in length. The life span of the queen is 15 years and above, the worker ants survive for almost 1 year and the males have a very short life; they die following their mating trip during spring. The significance of the Formica is their slavery and the habit of being a parasite. In the Rufa-Microgyna and the Exsecta groups, there exist three classes. Virgin queens are not in a position to build their own colonies. However, they enter by force the other group’s colonies and by several techniques drive away the host queen and keep the host workers to assist them in nurturing their clutch. Ultimately, there will be only the assaulted queen’s young ones. This is called as temporary social parasitism. In the group of the Sanguine, colonies are initiated just like the above; however, some varieties of worker ants raid other group’s colonies and make new workers their labor force, which they name as slaves. This is the nature of the F. Sanguine. For some varieties belonging to this class this is imperative for their survival, whereas it is optional for other species. 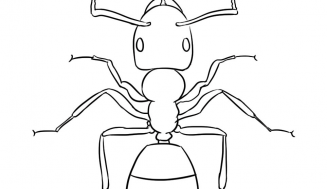 Wood ant worker ants all the time either collect food hunting or scavenge insects that are dead. In the morning you see columns of ants moving out of the nest. Actually, they are predators, tracing their prey by their perfume and quiver. In spite of the fact that they have a visibility of only about 10 cm, they silently follow tiny insects, and then, all of a sudden. The other workers sometimes help to subdue larger victims. Apart from their pincer like mandibles, they also use the formic acid stored in their Gaster glands to spray the victims to a distance of 5 cm not only to overpower their victims, but also to defend themselves when they are under attack. 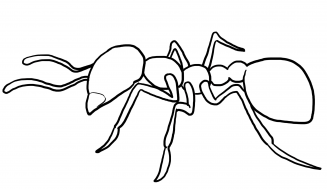 Daily the ants that go foraging take home food stuff that is one and half times their own weight. It is interesting to watch the behavior of the wood ants with creatures from the parasites to scavengers that dwell in the colony, whom the ants disregard. We see wood ants in places where sufficient quantity of rotten wood is available for building their nests. But, a few of the 200 varieties prefer to dwell on exposed grasslands. The mounds that are visible to predators, give them protection from the weather and their predators. Besides the mounds become a convenient and steady location for incubating the eggs. Wood ants that dwell in colonies are quite sociable. 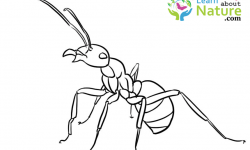 Their colonies have millions of them, and the majority of them are female worker ants, This variety of ants are endemic all over Europe, North America and Asia. The very name wood ants means, several varieties of Formica ants dwelling in forested areas, where an ample stock of wood is available for them to thatch their nests. One variety that tolerates shade is the Formica Lugubris. But sunshine is essential to the majority of the Formica varieties, in thick woodlands and where there is too much shade; colonies do not last for a long time. Most of the varieties, particularly those other than the Formica Rufa family, inhabit the exposed woodlands or shrub lands or grasslands where there are no trees. In North America, the usual prolonged history of landscape- fires in their habitats left their habitats, open prior to the settlement of the Europeans. The Europeans adopted cultivation, and the subsequent reduction of forest fires has reduced the majority of the Formica of America.. But still some of the species of Formica are likely to occur in vast extents of in the Northern Hemisphere from forests to swamps to grasslands to seashores, and even in the urban areas. 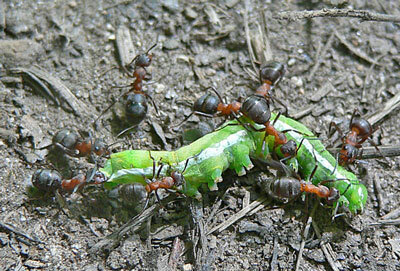 Caterpillars are another food source of these ants. They consume tiny worms as well. At the time when the worker ants venture out for food, they leave behind a trail of scent in order to return to their nests without losing their way and also for the remaining ants to follow this trail to the food source. Wood ants also search inside the tree barks and the roots for aphids (green flies). Aphids are made use of just like dairy cows. They mildly stroke the aphids with their antennae, and they secrete a liquid like sugar called honeydew at the extremes of their bodies. The ants will, in addition, consume the aphids, but retain some live ones for milking.